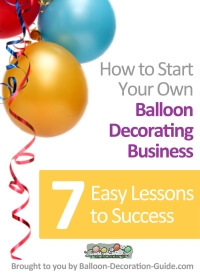 How do you make a Balloon Bomb? For a so-called 'balloon bomb' you will need a 36" exploding latex balloon and fill it with about 80 to 90 x 5" latex balloons. You can also add confetti for more effect. 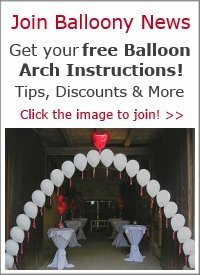 The balloon bomb is normally suspended above a dance floor (or wherever you want the drop to take place) with the help of a balloon net. To explode the balloon you can either use a wand or you need to wire the balloon to a firing box, if you want to explode it remotely. Balloon.co.uk used to feature a nice picture and description of a balloon bomb. Unfortunately they removed the article. I searched for "balloon detonators" or "balloon exploding kit," but couldn't find any suppliers selling them. Conwin used to sell them, but they discontinued the product. 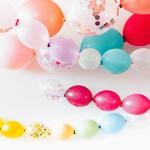 So your best choice is probably to burst the balloon manually, with a sharp pin and a long stick or wand. Comments for How do you make a Balloon Bomb? thanks for shareing with us and how do you fix on the roof of the dance floor . Confitte fill the next one for us to see. 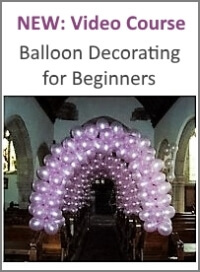 How to make a balloon bomb.